Since 1994, Plastpro has always believed in providing a superior product with the best value, technology, and commitment to our customers. We know how important it is to provide quality service and valuable resource to those in the industry. Plastpro’s High Velocity Hurricane Zone (HVHZ) Impact Doors are engineered to withstand the force of flying objects, while maintaining all the benefits and beauty of our door aesthetic. Our exclusive HydroShield Technology protects our doors against moisture and humidity infiltration, by creating a fully composite barrier that encases and protects the door on all six sides. It prevents warping, delamination, corrosion, rotting, and the buildup of mold and mildew. Our doors with HydroShield Technology used with our Polyfiber (PF) Door Frames create an enhanced, impenetrable entryway. • Our exclusive formula is measured precisely to ensure each skin is produced to the highest quality. With unlimited design options, customized panel configurations are possible. The skins require little maintenance and will not splinter, dent, warp, rot, or rust. They can be painted, stained, and we provide a variety of graining options. • Our full-length composite stiles protect the door from external moisture to prevent warping or rotting. They have twice the screw-holding strength of wood. • High strength composite top and bottom rails prevent moisture from seeping into the door and stops the buildup of mold. • Plastpro’s full length LVL allows any type of lock to be placed for increased security. • Our advanced CFC-free, high density, Polyurethane foam core enhances the door’s soundproofing capabilities and provides insulation up to six times greater than wood doors. Our Impact Series was specifically engineered to withstand harsh conditions in HVHZ zones. The structure features a composite edge that has flexibility and shape memory. When under hurricane pressure, the door will not crack or bend like wood and steel doors. The Impact series features classic and modern designs that everyone can love. Enjoy the added protection this series offers, without ever having to sacrifice expressing your true style. Plastpro not only gives back to our community, we also do our part in preserving the environment by creating sustainable products. For us, sustainability means balancing our environmental, economic, and social goals. Our fiberglass doors are a great green alternative because they are: durable, have a longer lifespan, are energy efficient, and environmentally friendly. Fiberglass has many benefits and is a natural choice for consumers seeking building materials that are green and sustainable. The material is designed to last for decades and is impervious to time, temperature, and corrosive agents. Because fiberglass is so durable, there is less waste produced because products aren’t thrown away as regularly due to their long life cycles. Since our doors need to be replaced less often, it makes them more cost effective and reduces the amount of resources needed for manufacturing. They also require less maintenance, which consumes a large part of a buildings budget. Over a building’s lifetime, maintenance can easily exceed the original construction costs. lastpro is committed to providing sustainable products to meet our consumers’ needs, while keeping the integrity and balance of natural resources. By choosing a Plastpro door, it means having the best value while minimizing long term effects on the environment. We are also proud to be a part of the governments ENERGY STAR Program. As an ENERGY STAR Partner, our products have been shown to meet regional standards for energy efficiency and conservation. 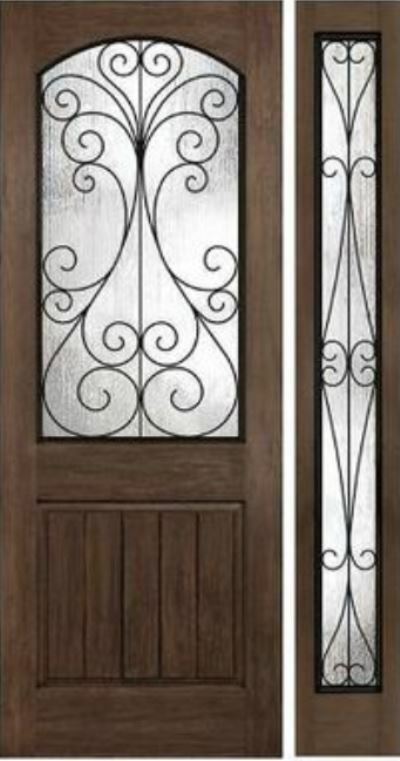 Fiberglass doors are one of the most energy-efficient building products available on the market today. Our fiberglass doors are energy efficient due to their good insulation. Thorough insulation is one of the best ways to reduce energy consumption and building operation costs because of the ability to seal out any type of element. Buildings in the U.S. use over 60 percent of electrical demand. Homes and buildings that use energy efficient building products use a third less energy and can save 40 to 60 percent of energy over non ENERGY STAR qualified doors. Our ENERGY STAR qualified doors offer homeowners savings by using less electricity, lowering bills, improving comfort, and helping protect the environment. Plastpro brings the latest technological advancements to the industry to meet our customer’s needs. Our commitment to quality is backed by extensive research and vertical integration, to ensure consistent innovative products. With vertical integration, we can focus on improving each individual door component by maintaining control over each stage of development from raw material to finished product. With the opening of our Ashtabula, Ohio plant in 2005, Plastpro has even greater quality control, as well as the flexibility to create new products to better react to market need and demand. We’re able to offer homeowners the widest possible choice of product designs and sizes. Through our design and high quality structure, to the assembly and delivery of our products, Plastpro ensures everything we do meets our rigorous standards. We have built a reputation by offering the best quality and innovative products through extensive researchand technological developments.